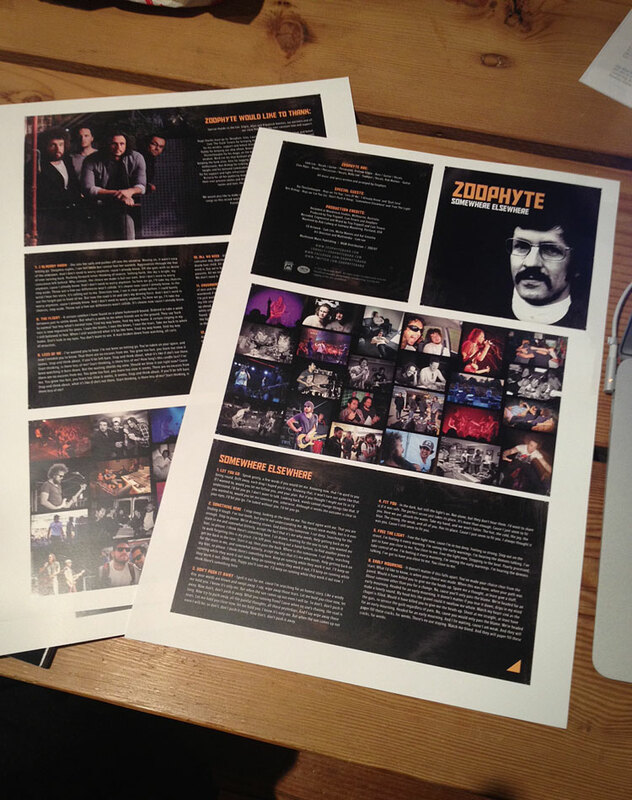 It’s been a HUGE four months for ZOOPHYTE, with constant touring interstate and overseas, plus landing the main support for the INXS Coast to Coast tour. The winter months of 2012 could not have been busier, which have resulted in one thing… postponing the Album release. “Surely its been long enough,” you’re probably saying, but fear not… it’s only been pushed back a month. The release of SOMEWHERE ELSEWHERE is now scheduled for release on FRIDAY OCTOBER 19 and we’ll be releasing heaps of cool stuff in between now and then, so stay tuned and keep a close eye on our website, Facebook page and Twitter feed. Here’s a little sneak peak at the Album artwork which sent to print last week. Let us know what you think. Only five weeks until release!